Gentian, the name of Chinese medicine. For the gentian plant. Also known as gentian ("Ben Jing"), Ling You ("The Scripture"), grass gentian ("The Sketch"), gentian gentian, gentian ("Southern Materia Medica"), biliary ( "Pharmaceutical Chemistry"), Shanlongdan ("Zhejiang Traditional Chinese Medicine Handbook"), four-leaf gall ("Guangxi Chinese Veterinary Medicine"), water gentian ("Jiangsu Zhiyao"). It has the effects of clearing heat, diarrhea and calming. "Compendium of Materia Medica" records: "Sexual taste bitter, sputum, cold, non-toxic. Indications between the bones of cold and heat, shocking evil spirits, following the injury, set the five internal organs, insecticide." The site of gentian herbal medicine: the roots and roots of the plant. Gentian grass is the root and stem of the perennial herb, gentian, gentian, etc. It is mainly produced in the northeast region, and can be harvested in spring and autumn. The quality of autumn harvesters is better. 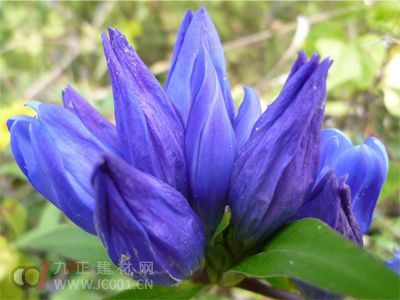 Gentian grass is sweet and cold, and it is specialized in clearing away heat and dampness. Its diarrhea and liver biliary effect is very strong, and it can relieve phlegm and relieve pain. Gentian grass is a perennial herb with a height of 1-2 feet. Leaves opposite, lower leaves 2 - 3 pairs small, scaly, central and upper leaves lanceolate, dark green surface, pale green on the back, three distinct veins, no petiole. Peanuts open blue tubular bell-shaped flowers between the leaf tips of the shoots or near the tip. The long oval shape of the fruit is slightly flat, and the two petals are cracked after maturity. The seeds are mostly small and small. The rhizome is short, clustered with many slender roots, yellowish brown or light yellow.